Granby Colorado's premier fishing bait and tackle dealer. 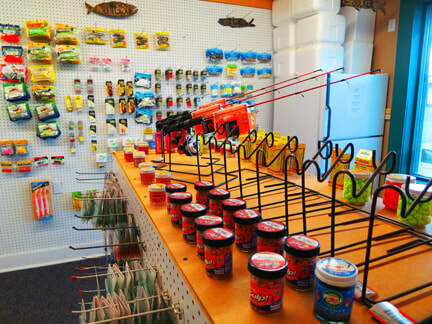 Proudly providing Granby, Grand Lake and the entire Grand County area with the largest selection of fishing equipment, baits and fishing tackle. We carry just the right gear for every angler for any season. Whether you are looking to land that trophy lake trout,catch a stringer of rainbow trout, or pull a fish up through a hole in the ice, Granby Bait N Tackle can fulfill your fishing needs. We are located at 383 E Agate Ave.
Got Ice? 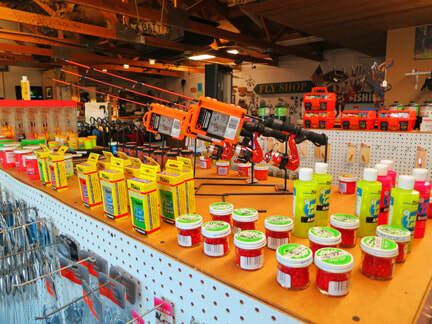 We have a great selection of ice fishing gear...come in and see!